Remodeling your kitchen is a fabulous way to give it a new look. Besides making it attractive, the quality kitchen is essential. It contributes to stylish and organized living in the household. The kitchen speaks more about the whole house. NV Kitchen and Bath offers thoughtful kitchen remodeling services. These not only give your kitchen a modern layout but also great benefits. Consider the following when planning to change your kitchen outlook. How do you move in the space? How effective is your kitchen when more than one person is cooking? Does the workflow accommodate your cooking routine? Can you easily move from the range to the sink? Here are major benefits of redesigning your kitchen. To enhance space. Remodeling offers extra working space in the kitchen and storage space. Most cooks within the home kitchen usually conflict for extra space. With remodeling your kitchen, you will be surprised to discover the new space left. To increase your home value. You will be surprised how a newly remodeled kitchen can benefit your home. It not only give it a fascinating appeal but will increase the value of your property. Therefore due to improvements are done, a kitchen redesign can boost your house’s sale value mere highly. Improve Safety. Getting your kitchen remodeled would provide a safer space for Your outdated kitchen appliances may damage you physically because of improper functionalities. Also helps to hide dangerous utensils which might cut you. Therefore, modern and remodeled appliances are safe to handle. Do you want to improve your home for a higher price when you sell? Our professionals are here to help you discover kitchen remodeling tips. Kitchen remodeling is not a simple process. You need to consult qualified professionals to handle the work effectively. Poor planning. We help you to budget redesigning your kitchen process so as not to outrun funds. Unskilled professionals. We help you by offering our professionals services. Our work is promising and fulfilling. Our customers always come back for more services as well referring new ones. Poor decisions. Most people find themselves making poor choices when remodeling their kitchen. We help you to know best remodeling These help to avoid latter mistakes. Modern cabinets. Cabinets come in a variety of modern styles and colors. 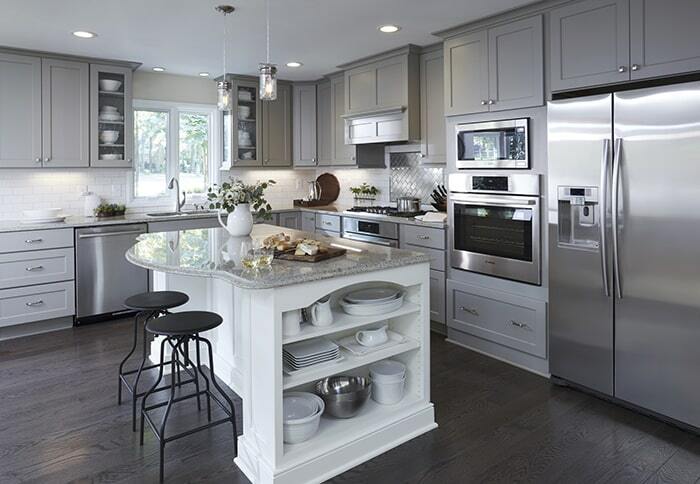 Modern cabinets encourage kitchen look more organized and tidy. The kitchen should reflect your home lifestyle. Well groomed and modern outlook reveals the whole picture of the house. Therefore, redesigning your kitchen like any other part of the house is wise.